Soft drinks and tea only. As many times as I’ve been to this small, nondescript restaurant off the 101 (it was a former A & W drive thru with indoor seating), I have to admit I’ve never ordered off their standard menu of traditional dishes. I’m sure it’s good but that’s not why I come here. It’s the Dim Sum, Stupid! Although they do not serve these “small plates” of food in the traditional fashion, off hand-carts rolled through the restaurant by servers who count the number and type of bowls or plates served to you to calculate your bill; nonetheless, this place is almost on a par with Yank Sing in the City for Dim Sum. 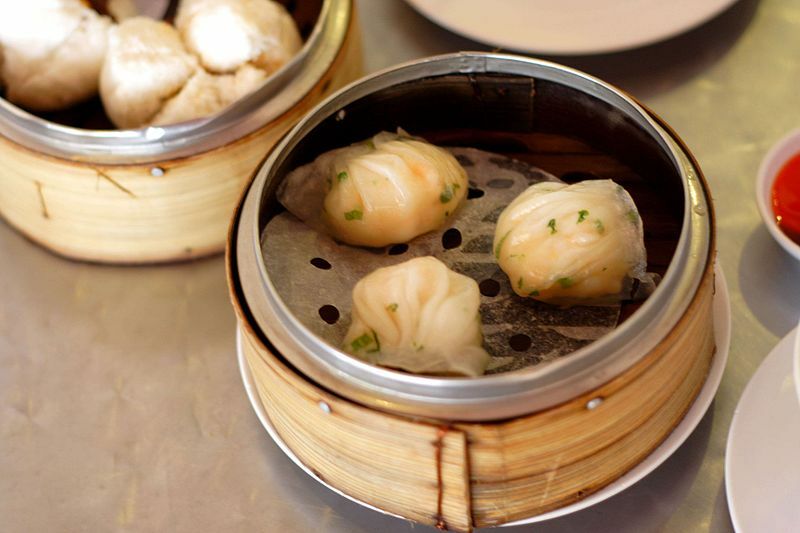 Served mainly in round, bamboo steamers of various sizes, it arrives at your table hot and ever so fresh. A few of my favorites: Steamed Shanghai Dumplings (4), Green Onion Pan Cake (1 large to share), Shiu Mai with Diced Mushroom, Pork & Shrimp (4), Steamed BBQ Pork Bun (2), Shrimp Dumplings (Har Gow) (4), Crispy Shrimp Ball (4) and either Steamed Egg Custard Bun (3) or Crispy Egg Custard Tart (3) for desert. Delightful and very inexpensive for the amount of food you get. Take someone and share!